The 4th of July is right around the corner, which means that the season for BBQ’s and grilling out is in full swing. 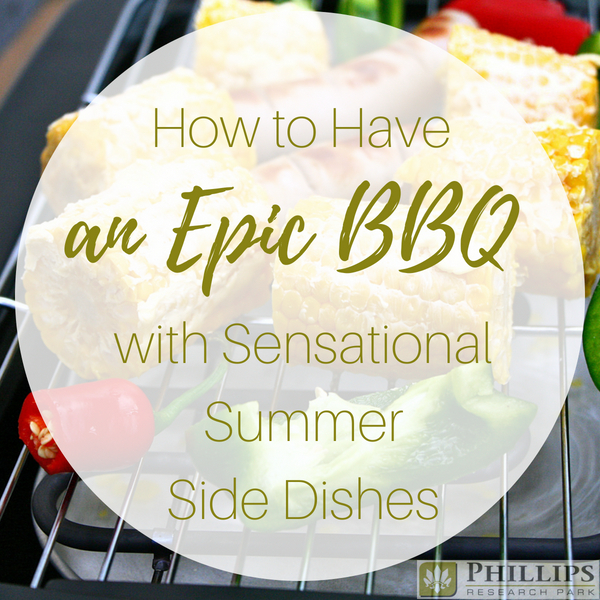 The weather is hot, the grills are sizzling with your favorite meats, and it is your turn to bring a fabulous side dish to share with your friends and family. We have rounded up seven sensational recipes that will be easy to make from any of our Durham, NC apartments. Our kitchens at Phillips Research Park are equipped with granite countertops and full size stainless steel appliances. This is the perfect combination is the perfect start to your next BBQ. When it comes to apartments in Durham, Phillips Research Park provides the best outdoor BBQ and grilling areas around! We have a gorgeous poolside gas grill located under a shady pergola. You will also find picnic tables and stationary grills located adjacent to each of our buildings. 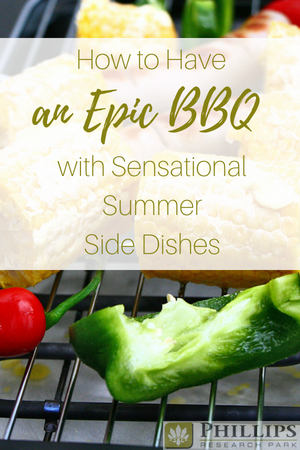 If you are ready to make a great impression this grilling season, try one of these sensational summer side dishes! No BBQ would be complete without potato salad. 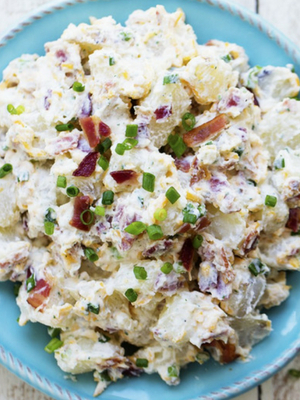 This creamy and delicious potato salad has amazing ranch flavor and bacon! This is the perfect side to take to a potluck and is sure to be a huge hit! Coleslaw is another side dish that is quintessential summer. After all… who doesn't love coleslaw? It’s crunchy, it’s creamy, it’s slightly sweet, and it goes with just about anything. 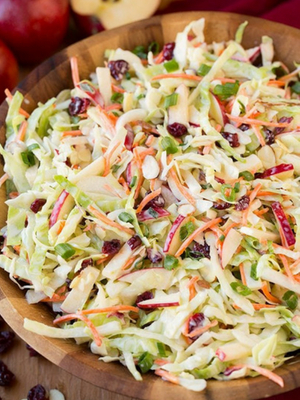 In this recipe, you get a perfect crisp coleslaw with its addition of apples, cranberries, and almonds. It’s covered in a lighter Greek yogurt dressing versus a classic coleslaw dressing which may have as much as a cup of mayonnaise in it. This dressing substitution makes this dish a little lighter on calories, but not lighter on taste! 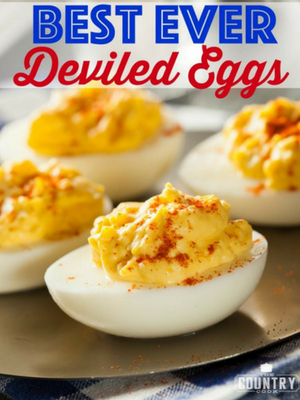 Deviled eggs are another BBQ staple. Many recipes try to make deviled eggs trendy, but that is not necessary. There is nothing like the classic. This recipe may not be fancy but it promises to make your deviled eggs disappear. Classic Deviled Eggs are a great recipe if you need to make something at the last minute, as all the ingredients are usually on hand. According to Easy Family Recipes, this Mexican Street Corn Casserole is super easy to make and crazy delicious! With only a few ingredients you can have this whipped up and in the oven in as little as 5 minutes. Once it bakes, you are in for a treat! 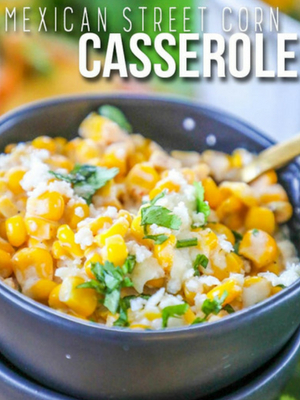 This casserole is rich and creamy and filled with the bright flavors of Mexican street corn. The best part is that since this Mexican Street Corn Casserole is made and baked completely in one dish, there is almost no clean up! You can enjoy the meal and not worry about the dishes you have waiting for you afterward. 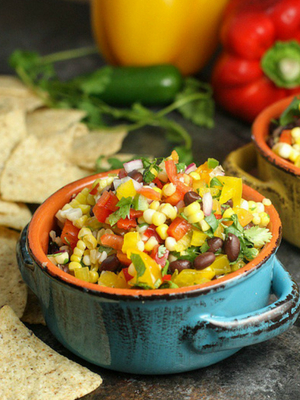 Corn Salsa with Black Beans is the perfect party appetizer for a summer get together. You can serve it with corn tortilla chips or as a salad side dish! It’s easy to make and is also healthy. Since it only takes a few minutes to make this dish, and it is easy to keep all the ingredients in your pantry, this is a great grilling out “go-to” side dish. Want to take it up a notch? Use fresh corn!! 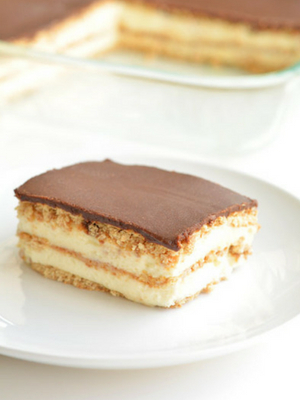 This recipe for chocolate eclair cake is going to be your new go-to dessert recipe! It’s quick, it’s easy to make, and it tastes AMAZING! And if all that sounds great… it gets even better. This is a no-bake recipe. No heating up your kitchen required. And we all know that our Durham, NC apartments can get hot in the summer time! Thank goodness for air-conditioning. This dessert has gorgeous, creamy, and delicious layers. Oh so good! Strawberries and summer go hand in hand. Don’t you agree? If summer was a dessert, it would definitely be strawberry shortcake. 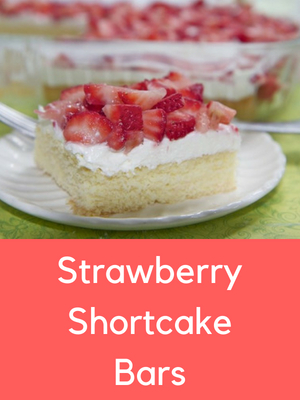 These Strawberry Shortcake Bars, from Divas Can Cook, are a perfect recipe for something light, sweet, and fresh. The super soft-cake like crust perfectly combines with a light layer of cream cheese and whipped cream, all topped with fresh cold strawberries. It’s heavenly! Now that you have these awesome summer recipes in hand, you are ready to sit back, relax, and enjoy your cookout! From all of us Phillips Research Park Apartments, your #1 choice for apartments in Durham, we wish you a safe and fun-filled summer!